April Bloomfield’s idea of a perfect lunch? Steak-and-kidney pie and “a sturdy pint.” This new addition to her daytime menu ups the umami quotient with a suet crust, and a filling of pork kidneys, skirt steak, and dry-aged rib eye enhanced with porcini powder and fresh mushrooms. $16; 16 W. 29th St., nr. Broadway; 212-679-1939. 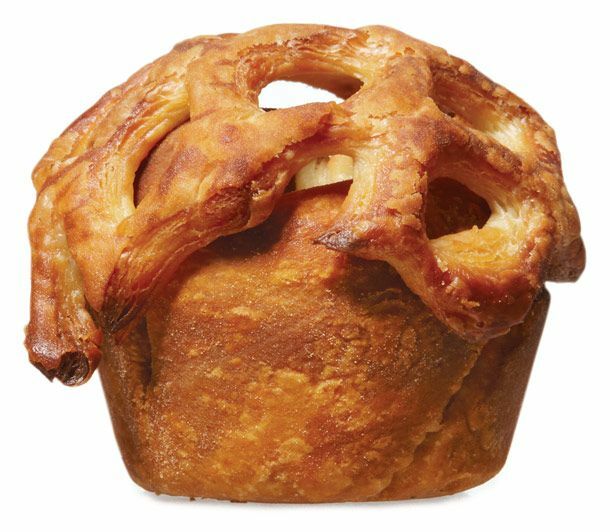 Nate Smith has peddled pies, with pastry made by wife Sophie Kamin, at a pop-up dinner series, the Bedford Cheese Shop, and now nightly at his Brooklyn gastropub, where their bar-snack size belies their buttery richness. He uses beef shoulder for the beef-and-Stilton, which alternates with chicken, pork, and vegetarian versions, and dabs the plate with a swipe of hot mustard. $5; 124 Bedford Ave., at N. 10th St., Williamsburg; 347-799-2743. Is there anything in this world that isn’t improved upon by being wrapped in pastry and baked in a 350-degree oven? 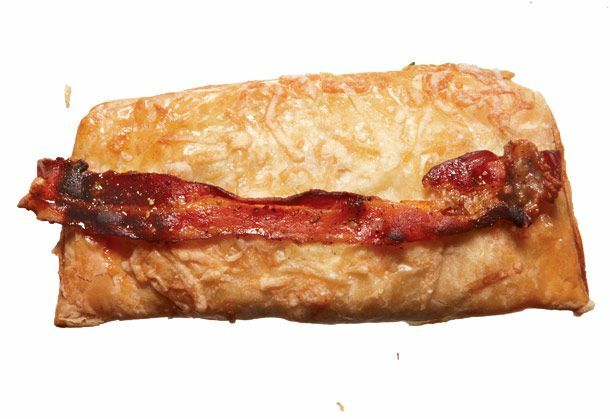 Not according to this three-month-old bakery, whose Pop-Tarts–shaped hand pies are filled with everything from bacon-egg-and-cheese ($6) to a partner’s father’s recipe for picadillo. First-rate potpies ($12) run the gamut from chicken to butternut squash. 77 Driggs Ave., nr. Monitor St., Greenpoint; 917-721-3052. 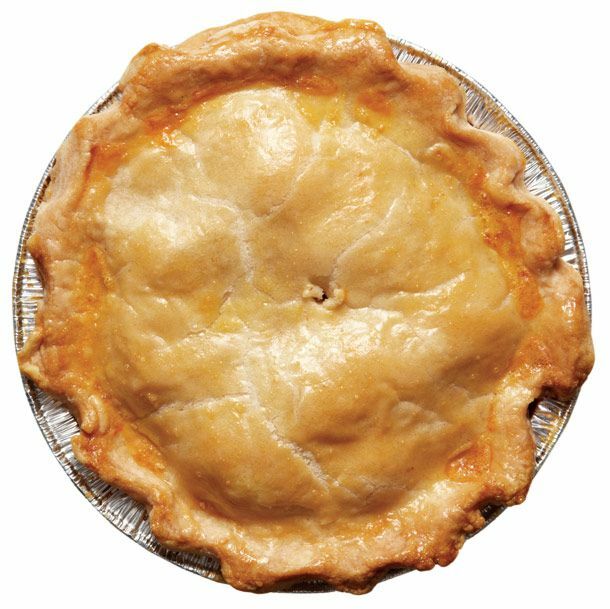 This Catskills farm raises poultry, pigs, and grass-fed beef—all of which make their way into the butter-crusted pies Denise Warren bakes and her husband, Tom, sells at Greenmarket. 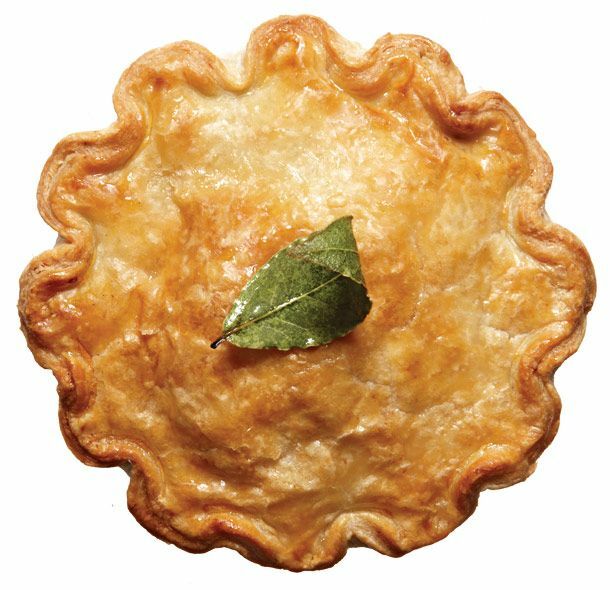 Recent offerings: old-fashioned chicken, curried-beef hand pies, and this Quebeçois-inspired beef-and-pork tourtière, with cinnamon, cloves, allspice, Cognac, and a layer of mashed potatoes concealed beneath the pastry crust. $12; Fridays at Union Square Greenmarket. 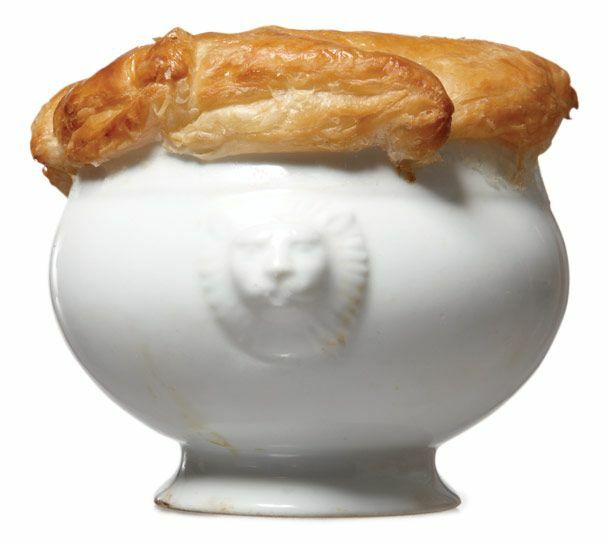 Jody Williams has crafted a career out of delivering big flavors in small, elegant packages, and her rabbit potpie is no exception. 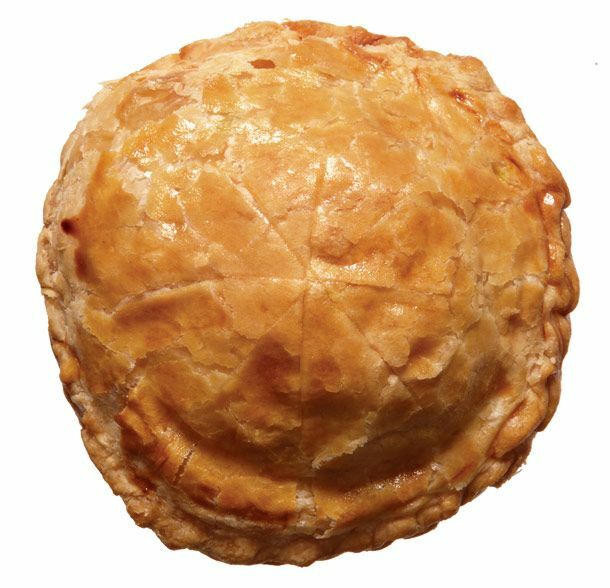 Mingled with chestnuts and topped with puff pastry, the seasonal special is dainty in looks only. $15; 42 Grove St., nr. Bleecker St.; 212-255-3590. 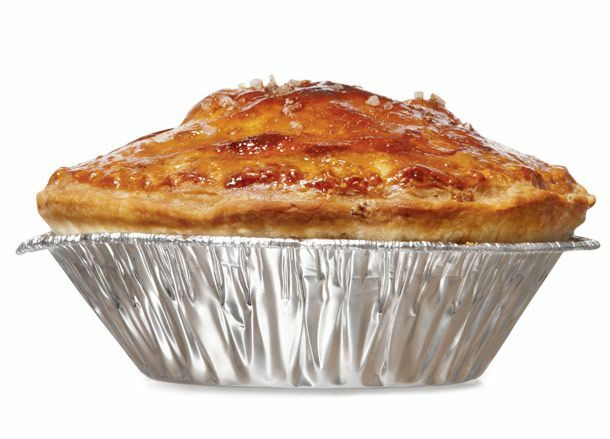 With its two-dough construction and roasted-cream-enriched filling, Zachary Golper’s chicken-thigh pie takes inspiration from both his old boss Le Bec Fin’s Georges Perrier and a “life-changing” quiche lunch in Blois, France. It wears its spindly lattice top, made from croissant-dough trimmings, like a jaunty chapeau. $8; 35 Christopher St., nr. Waverly Pl. ; 646-590-3341. Little-known fact: The unassuming shop that put Gowanus on the sweet-pie map also does extraordinary work in the savory department. 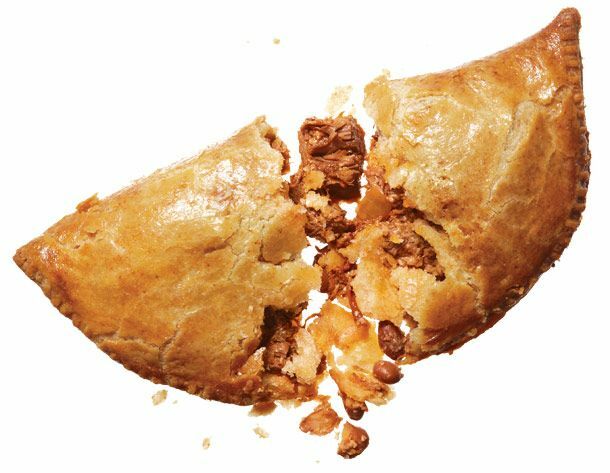 Among the rotating roster of Cornish-pasty-size hand pies, our favorite is the Tex-Mex (spiced beef, beans, queso fresco, and pickled jalapeños baked in a cornmeal crust; $7). Mushroom with onion and Manchego is a close runner-up ($6). 439 Third Ave., at 8th St., Gowanus; 718-499-2917. 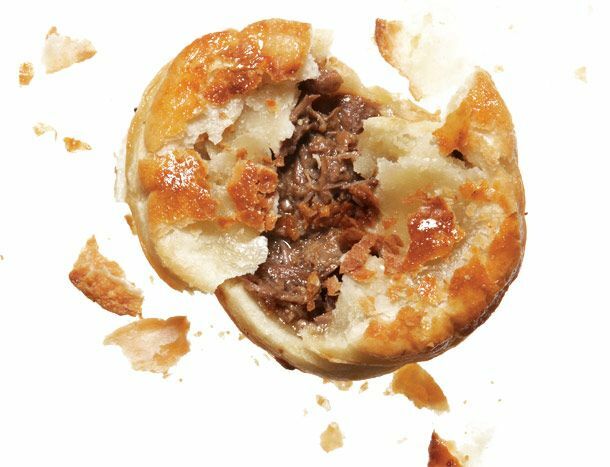 A classic meat pie is what you expect from a pub run by a chef who grew up in a small village in the Cotswolds, and a classic meat pie is what you get. Tuck into lamb-and-rosemary or steak-and-kidney plus an accompanying heap of either authentically dense English chips or mashed potatoes included in the price, then hibernate till March. $18; 401 E. 76th St., nr. First Ave.; 212-249-2700. This so-called authentic Scottish gastropub has a dirty little secret: The man in charge of the pies is a New Zealander. No matter: Both the vegetarian bridie, filled with cauliflower, peas, potatoes, and béchamel ($17), and the braised-lamb-shoulder pie with a side of minty peas ($22) are absolutely delicious, at least according to our resident pie guru—though she’s also from Down Under. 150 W. 10th St., nr. Waverly Pl. ; 212-229-2670.